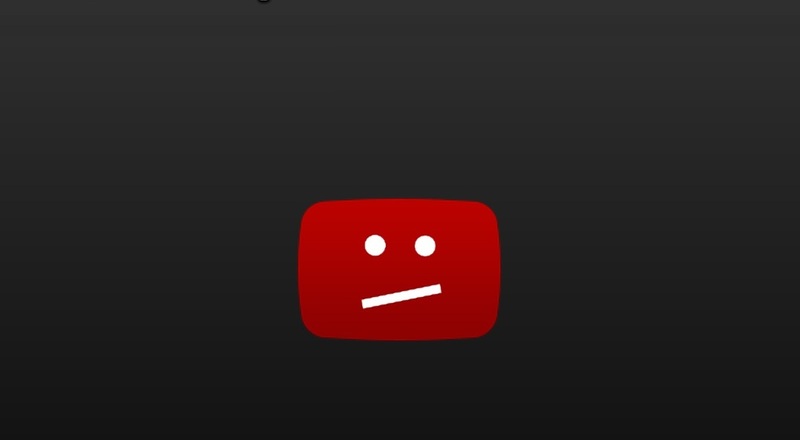 The image Youtube presents when a video is no longer available, Youtube. On Saturday, Egypt’s Supreme Administrative Court ruled to uphold a lower administrative court’s decision instructing the Ministry of Communications and Information to block YouTube for 30 days. This ruling came in response to YouTube’s alleged refusal to remove a video, first published in 2012, which the court has found to be denigrating to the Prophet Muhammad. The court also ruled all websites that published the film will be blocked. The final verdict came after a first-instance court banned YouTube in 2013 on the basis of a lawsuit filed by lawyer Mohammed Salem. The court suspended the sentence two weeks after when the National Telecommunications Regulatory Authority (NTRA) and the Association for Freedom of Thought and Expression appealed the decision. The ruling was postponed until the final decision on the case before the Supreme Administrative Court, the highest administrative court in Egypt. This time around, however, the ruling is “binding, final, and irrevocable”, according to a legal adviser speaking to Egyptian news site Masrawi. The adviser added that “YouTube must start the implementation of this ruling immediately.” Yet, when reaching out to several Egyptian citizens, SMEX was told that, at the time of writing, YouTube was still functional, suggesting that the verdict will be enforced once a copy of the Supreme Administrative Court’s ruling reaches the NTRA. In Egypt, banning websites has become a common practice, according to Gharbiya. Therefore, he explained, there is a real chance the government will move to ultimately ban YouTube, even partially. “YouTube will be the biggest website banned in Egypt, but not the first,” he said. SMEX has previously written that the Egyptian government has surveillance technology in its possession, which it had bought from the French cybersecurity company Ercom in 2014. Much has changed since the lawsuit was first filed six years ago. YouTube has become integral to Egyptian people’s digital usage with more than 55 million daily users. Gharbiya warned that this verdict, if enforced, will not affect YouTube as much as it will affect Egyptian users, journalists, and advertising companies, especially if it is applied during Ramadan. An Egyptian Twitter user tweets “What does it mean to censor YouTube? i have learned more from youtube than from all my years studying,” May 2018. The ruling to block YouTube in Egypt, added Gharbiya, is “a big decision, so the government may be subject to pressured to shelf the ruling, which is what the coming days will show.” Therefore, even if the block is applied, it will not prevent people from using different technical means to access the site and view its contents. SMEX calls on the Egyptian government to respect the right to access the Internet and its various services. This ban, if implemented, will negatively affect economic revenue and more importantly restrict Egyptians’ freedom to access information and express themselves.